Prayers. Seafood. Coconut Jelly. Sitiawan. 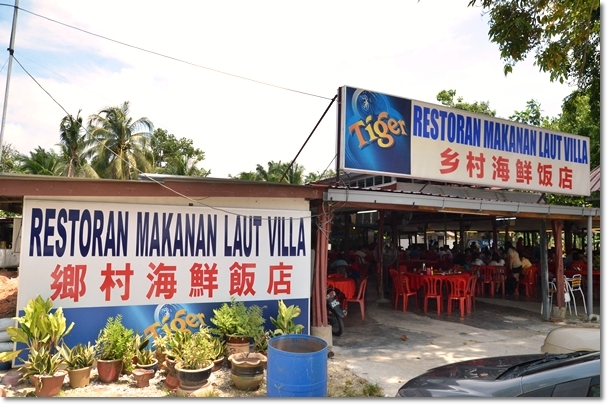 Like an annual escapade, the journey to the west coast of Perak (Pangkor Island, Lumut, Sitiawan, Seri Manjung) has always been an experience that I craved, more so for the delicious and cheap seafood and Foo Chow fares than anything else. 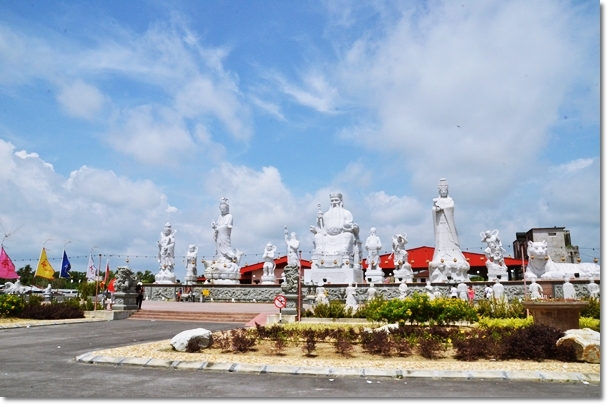 However, the recent year or so has seen a surge in visitors to Sitiawan owing to the new Tua Pek Kong temple (read more HERE); an amazing sight that you should not miss en route to Pangkor Island for holidays. 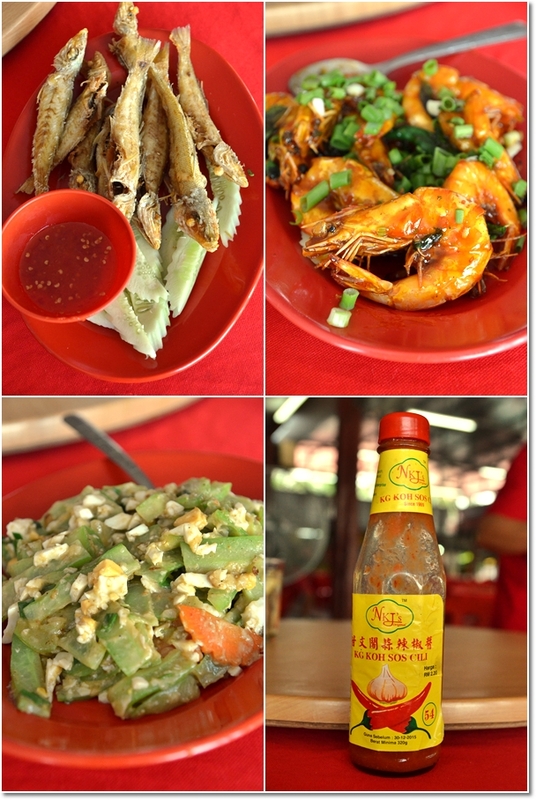 I wrote about Villa Seafood Restaurant more than once, and this has been a firm favourite with tourists and even locals for the extraordinarily fresh seafood paired with toddy (coconut wine). They have since moved to this new location (should be a couple of years now); an even more spacious premise with seating capacity in the realms of hundreds. The new location allows Villa Seafood Restaurant to seat even more patrons, and this pork-free joint is perpetually drawing in the crowd; from lunch to dinner hours daily. 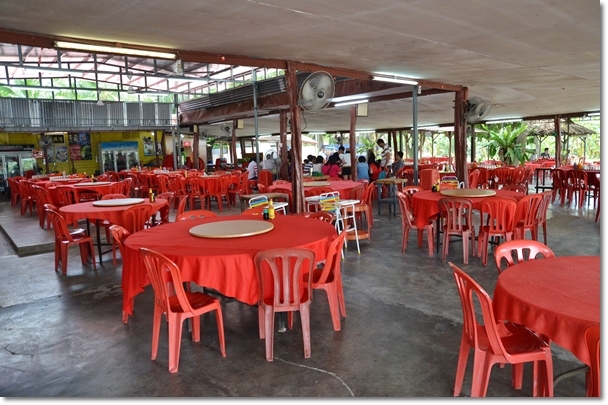 If this is your first time to Sitiawan, then a seafood feast is what you should not miss. If you have to make an alternative decision, then Foo Chow cuisine should be the way to go. 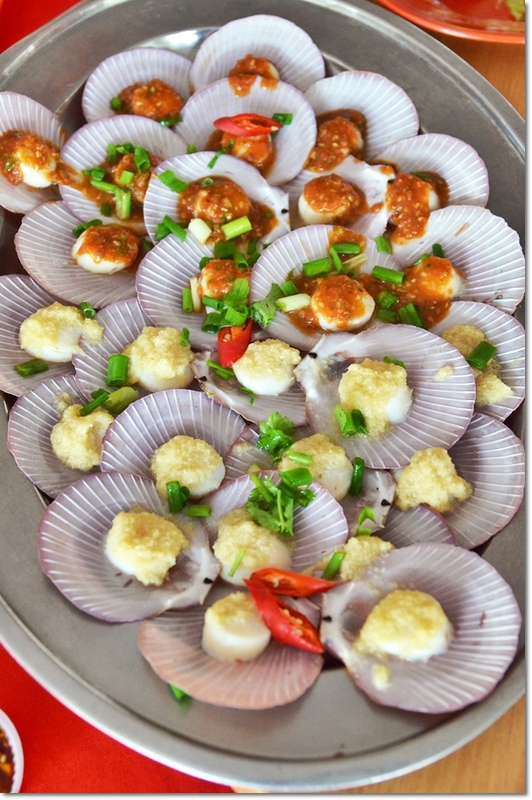 Out of the dozens of seafood restaurants in town, Villa Seafood, Ah Pek Lee Kou Hock and Amu Coconut Villa are some of the more renowned names. This was a revisit to Villa Seafood Restaurant in Kampung Cina (where all the seafood eateries are), and almost instinctively we ordered the almost similar ensemble of sins; Asam Steamed Fish (Ma Yau), Vietnamese Prawns (instead of the usual Bak Cheok Har), Steamed Scallops, Fried Sa Zhui Fish, Salted Egg Bitter Gourd and Homemade Fried Beancurd Cubes with Sweet Chili Sauce. We had to give the crabs (flower crabs only here, like Ah Pek Lee Kou Hock) and the oyster omelette (Or Chien) a miss as we were already struggling to finish the indulgent feast laid out before our eyes. 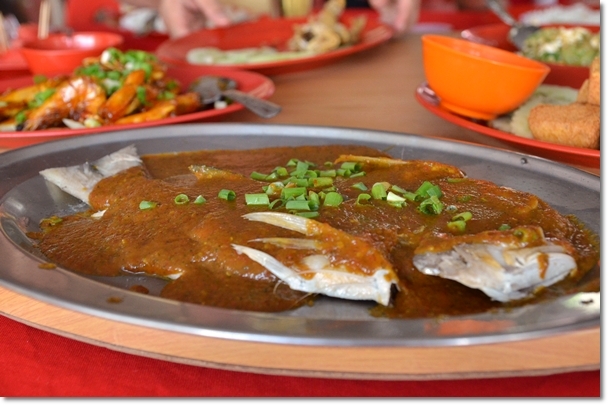 Tastewise, the Asam steamed fish was a tad too spicy for some, but personally was alright for me. The crunchy sa zhui fish dipped into the sweet chili sauce or the Kampung Koh signature garlic chili sauce was a clear winner; more of an appetizer than a main. The prawns were really fresh and succulent to the bite, though the sweetish sauce coating the shells was a bit uninspiring. 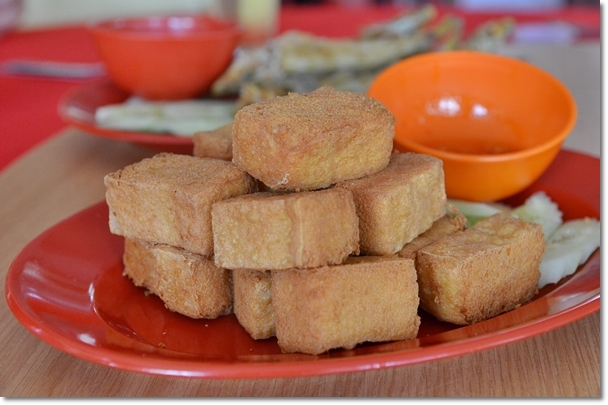 The golden blocks of beancurd deep fried to perfection went extremely well with the chili sauce, while the bitter gourd and salted eggs managed to satisfy our need for some greens to balance out the guilt. Surprisingly, the steamed scallops dish was a disappointment; as we felt that the ginger topping was way too overpowering while the spicy sauce tasted awkward. Ah Pek Lee Kou Hock’s version of the steamed giant scallops was infinitely better than Villa’s no doubt. From Villa Seafood Restaurant to Tua Pek Kong Temple, the journey took us mere minutes. As the temple opens all day, it’s best to arrive either very early in the day or later part of the evening. Don’t expect the sun be so merciful, this temple and grounds being right by the shores. The temple is also opened after sundown, for a very different perspective on the beautiful humongous statues lighted by neon lights. Unfortunately, we did not stay until sunset, but if you have the chance to overnight in town … then by all means do drop by Tua Pek Kong temple for a night visit. 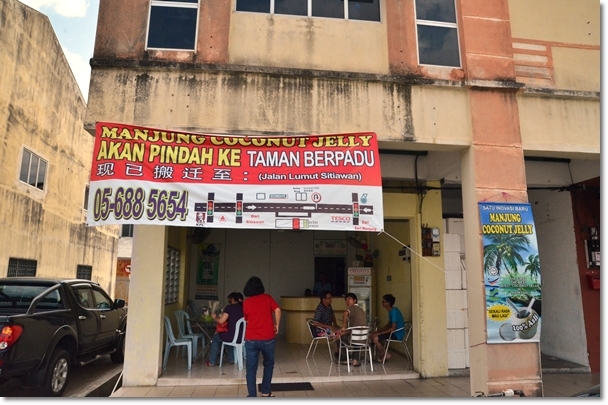 Manjung Coconut Jelly making the move to Taman Berpadu, Sitiawan soon; along the main road of Jalan Lumut from Sitiawan to Seri Manjung. 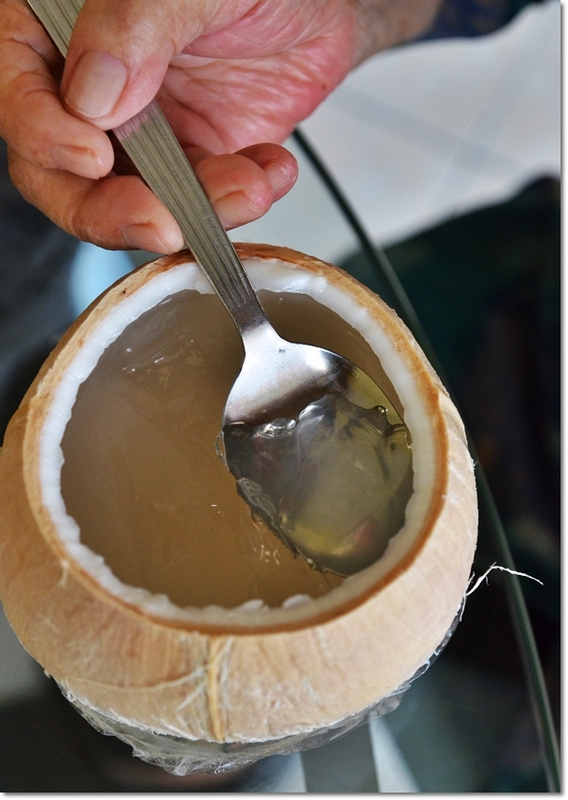 And what better way to alleviate the heat than a serving of refreshing coconut jelly from Manjung Coconut Jelly? Still at the same old location in Seri Manjung, and priced at RM3.50 each (RM10 for 3). Go towards Kampung Koh’s direction, passing by which will lead you to Jalan Pasir Panjang. 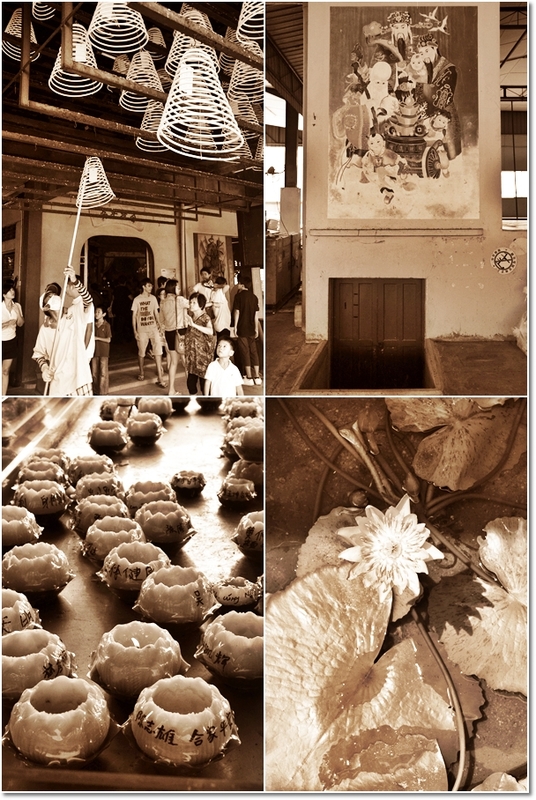 *For more on PERAK FOOD HUNT, please click on THIS LINK. 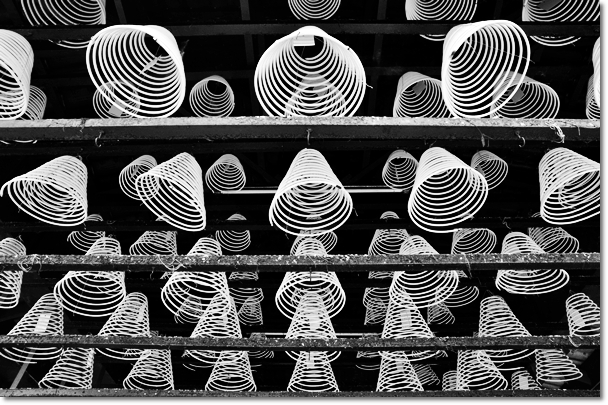 Beautiful shots of the Tua Pek Kong’s temple! Grandma’s last holiday trip with family…..